The Rational Argumentator is proud to announce the second in its planned series of quizzes on indefinite life extension, a companion activity to the Resources on Indefinite Life Extension (RILE) page. Read “The Imposition of Death” by G. Stolyarov II and answer the questions in the quiz below, in accordance with the essay. 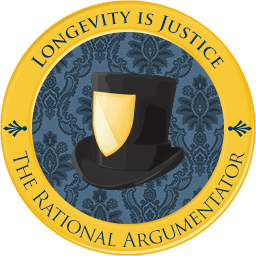 If you get 100% of the questions correct, you will earn the Longevity is Justice badge, the second badge in The Rational Argumentator’s interactive educational series on indefinite life extension. You will need a free account with Mozilla Backpack to receive the badge. 100% Correct: Congratulations! You have demonstrated an understanding of the value of indefinite life extension. You have earned the Longevity is Justice badge. To claim the badge, click HERE. Some Answers Were Incorrect. You have missed at least one question on this quiz and therefore do not qualify for the Longevity is Justice badge yet. However, you may feel free to review your answers and try again. As of this moment, how many people have been sentenced to death? Which of the following actions does not decrease the rate of senescence? Which of the following organizations does not focus on the promotion of longevity science? Of the following methods of death, which is just for an innocent individual? The Rational Argumentator is proud to announce the first in its planned series of quizzes on indefinite life extension, a companion activity to the Resources on Indefinite Life Extension (RILE) page. Read “Life is Worth Living – Forever” by G. Stolyarov II and answer the questions in the quiz below, in accordance with the essay. 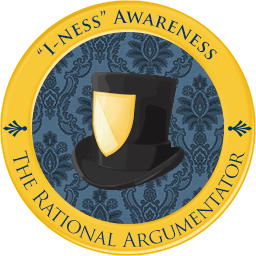 If you get 100% of the questions correct, you will earn the Longevity Appreciation badge, the first badge in The Rational Argumentator’s interactive educational series on indefinite life extension. You would need a free account with Mozilla Backpack to receive the badge. Read “Life is Worth Living – Forever” by G. Stolyarov II and answer the questions in this quiz in accordance with the essay. If you get 100% of the questions correct, you will earn the Longevity Appreciation badge, the first badge in The Rational Argumentator’s interactive educational series on indefinite life extension. You would need a free account with Mozilla Backpack to receive the badge. 100% Correct: Congratulations! You have demonstrated an understanding of the value of indefinite life extension. You have earned the Longevity Appreciation badge. To claim the badge, click HERE. Some Answers Were Incorrect. You have missed at least one question on this quiz and therefore do not qualify for the Longevity Appreciation badge yet. However, you may feel free to review your answers and try again. 1. What is more boring: being alive for a long time or being dead? Really? You think being dead is not as boring as can be? How many books will a person read over a lifetime if he could read one book per day for exactly 100 years? Approximately how many books were published per day in the United States and the United Kingdom combined in 2005? NOTE: You may use a calculator to determine the answer to this question. If you lived forever and read one book per day, approximately how many years would elapse before you would run out of books to read? You would never run out of books to read. Incorrect. Think about what it means for more books to be published in a given day than you can read in that day. In addition to reading many books, what category best describes the other interesting and desirable occupations you could engage in if you lived forever? Give the best possible answer. Correct. You can do all of these, and more! Based on what you learned from the “Life is Worth Living – Forever” essay and this quiz, what is one major hope we should have? That we should try very hard to find ways to avoid boredom – an increasingly challenging task given longer lifespans that leave less and less out there for us to do and experience. That medical technology advances sufficiently in our lifetimes to keep us alive indefinitely. That we tell our children and grandchildren all about the interesting experiences we have had, so that they remember and pass them on after we are dead and gone.